For many students it can be difficult to write about a given topic. 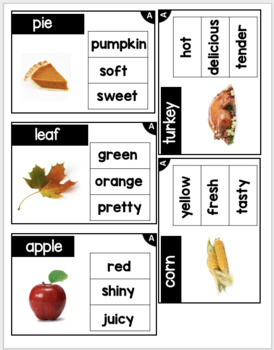 I created these WRITING PROMPT cards with both REAL PHOTOS and a WORD BANK to guide students in writing. This set is a SEASONAL SET. 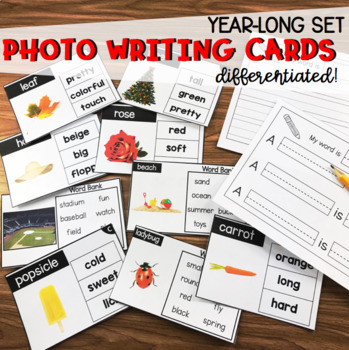 Simply switch them out or select which cards you want to use throughout the year! There are TWO levels of cards. Within the Level #1 cards there are FOUR versions for variety. 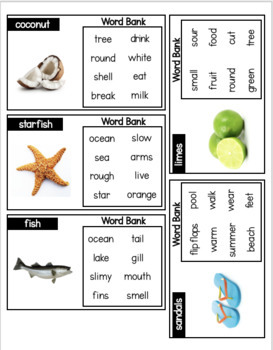 There are matching writing response sheets for all cards. Please see preview images for samples. There is also a set of SCENE cards included for all four seasons. Total of 72 writing cards included! 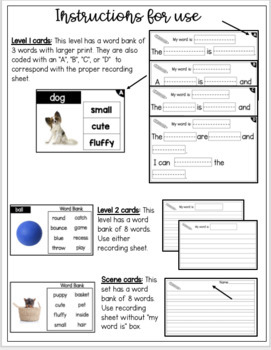 These cards are ideal for students in Special Education, ELL, or reluctant writers.